Quinton Durer is always down to talk about his faith. The junior at Marquette High School — a public high school in the Rockwood School District — was in the spotlight last year when he was among several students featured in the school newspaper about sports and religious clothing and articles. His brown scapular caught the attention of students and coaches at his public high school, who recommended him as an example of living his faith. The tradition of the scapular comes from the Carmelite St. Simon Stock, who, according to tradition, was given a brown woolen scapular by the Blessed Mother in her appearance in 1251 in the town of Aylesford, England. 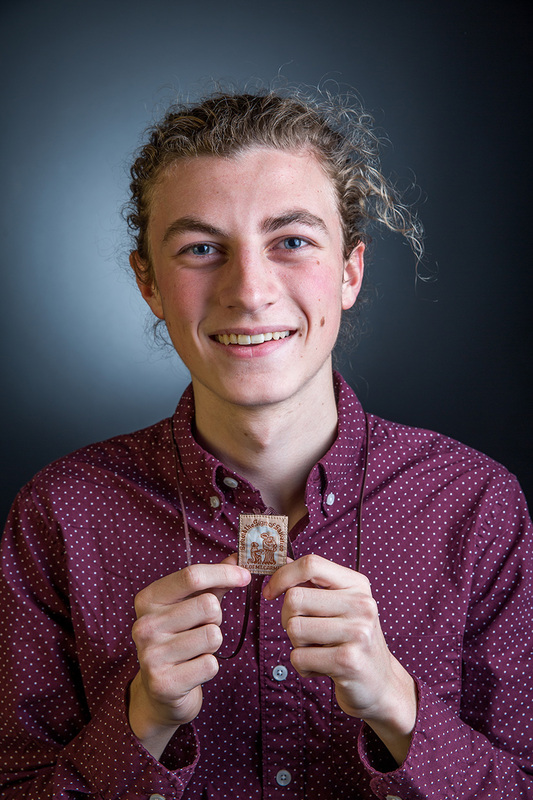 For Quinton, it’s more than just wearing the scapular. He described the devotion as a “silent prayer” that shows his dedication to the Blessed Mother and his Catholic faith. How did you learn about the Brown Scapular? Two years ago, we had Totus Tuus (a summer catechesis program for young people) here at St. Clare of Assisi (Parish in Ellisville). One of the missionaries had a brown scapular and he was talking about it. I thought it was pretty cool. It took me like a year to be like, ‘OK, I could get one.’ I came over and got it blessed by Father (Brian) Hecktor (St. Clare associate pastor) and got enrolled. I got my brown scapular at Catholic Supply. You received attention in the school newspaper at Marquette High School (Rockwood School District). How did that happen? The newspaper (Marquette Messenger) was doing a big article about religious clothing and articles and sports. I heard about it and I assumed it was going to be more about Muslim women and hijabs — and that definitely was a part of it. But I was also a big part of it, because they were talking to all of the coaches for fall sports. They went up to some of my cross country coaches and they pointed out me, because we were talking about getting clearance so I could wear my scapular during my races. We didn’t need to since they changed the rules — I was allowed to wear it during races. How do you explain the devotion to people at your school who aren’t Catholic? On the scapular, there’s a little thing Mary said when she gave it to St. Simon Stock. She said, “Whoever dies while wearing this scapular will not suffer the eternal fire.” I normally get more questions about it, because it’s not always the easiest thing to comprehend or believe. I follow up with it’s a devotion to Mary and a silent prayer that I wear. It’s more than just wearing it — it’s also the prayers behind it. Normally people can accept that. If they ask more questions, I’m always down to talk more about my faith. How do you explain the importance of our Blessed Mother to others? It depends on who is asking, but the biggest thing I say is that we pray through the saints. We pray to the saints but we ask for prayers. We’re asking people we know in heaven for that. It’s important that we turn to Mary, because Mary is Jesus’ mom. We listen to and respect His mom, because that’s the fourth commandment to honor your father and mother. She’s also Queen of the Universe — other cool stuff like that.